The United Media Guild turned 80 this year. It formed as the St. Louis Newspaper Guild in January, 1934, joining a national movement to unionize newsroom and commercial operations employees. It began with 50 members from the St. Louis Post-Dispatch and Associated Press, but immediately branched out to the other newspapers in town. We have tentatively scheduled an 80th anniversary party for June 1 at Creve Coeur Park. This event will be for all active members as well as all those Guild retirees and alumni that helped us maintain our strength over the years. We will post more information on that event once we confirm all the details. 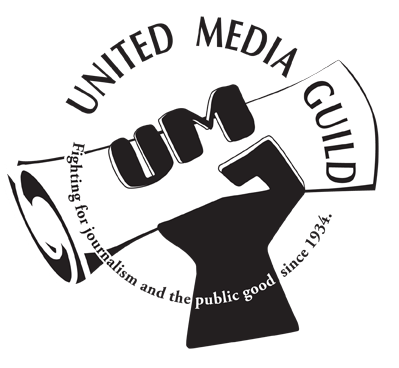 The St. Louis Newspaper Guild changed its named to United Media Guild after merging with the Peoria Newspaper Guild. Currently the UMG represents employees of the Post-Dispatch, the St. Louis Labor Tribune, the St. Louis Review, KSDK-TV, the Peoria Journal Star, the Pekin Daily Times, the State Journal-Register in Springfield, the Rockford Register Star and the Freeport Journal-Standard. We also represent workers at Missouri Jobs with Justice, the St. Louis Organizing Committee, Unicom ARC and the Workers Interfaith Network in Memphis.